Easily generate a fully customizable cookie banner, seamlessly collect consent and implement prior blocking with asynchronous re-activation. The US is one of the countries our legal team monitors most closely. We incorporate the strictest provisions from the most relevant domestic and international legislations (including CalOPPA and the GDPR) to provide you with legal documents that you can use across multiple countries. How do I detect my site's cookies? Do I have to block cookies? Does it apply if I'm based outside of the EU? Do cookies fall under the scope of the GDPR? Download a full guide to the Cookie Law, made by IAB, Netcomm and others in collaboration with iubenda. We help you meet both compliance and advertising industry requirements while delivering the best possible ad revenue performance by ensuring that reach via personalized advertising is maximized. Are cookies governed by the GDPR? Cookie usage and it’s related consent acquisition are not governed by the GDPR, they are instead governed by the ePrivacy Directive (Cookie Law) which in future will be repealed by the up-coming ePrivacy Regulation. Cookie law requires users’ informed, active consent before storing cookies on a user’s device and/or tracking them. To learn more, please click the link below. Does the Cookie Solution let users set advertising preferences? 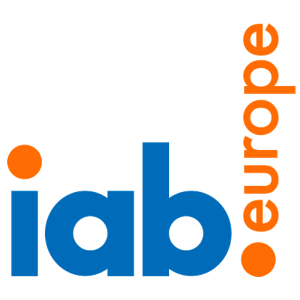 Yes, the Cookie Solution is compatible with the IAB Europe GDPR Transparency & Consent Framework as iubenda operates as the Consent Management Provider. This feature allows users to toggle advertising preferences for all the advertisers on the IAB's extensive global vendor list. If you display ads on your website, it's highly recommended that you enable this feature as failing to do so can negatively affect your advertising revenue. To learn more, please click the link below.